Food fads are a funny thing. Recipes can be around for centuries, but leave it to a talented, enterprising chef to revive or reinvent one and the world seems to react as if they'd discovered something utterly new. Think back to the cupcake shop craze, the long lines outside of Pinkberrys when they first opened up, and the countless gourmet burger restaurants to name just a few recent culinary trends. When I was living in New York City 10 years ago several charming little restaurants in the West Village started a lobster roll craze, making it the new go-to meal for food junkies -- never mind that lobster rolls had been around since at least the 1920's. Our family was in Boston this year for spring break and we shamefully missed having this classic New England fare which is a must whenever visiting. I saw people eating them at every turn, but we couldn't get a reservation at any of the places famous for serving them. Sadly we left, missing out on a dish I really wanted the kids to try. 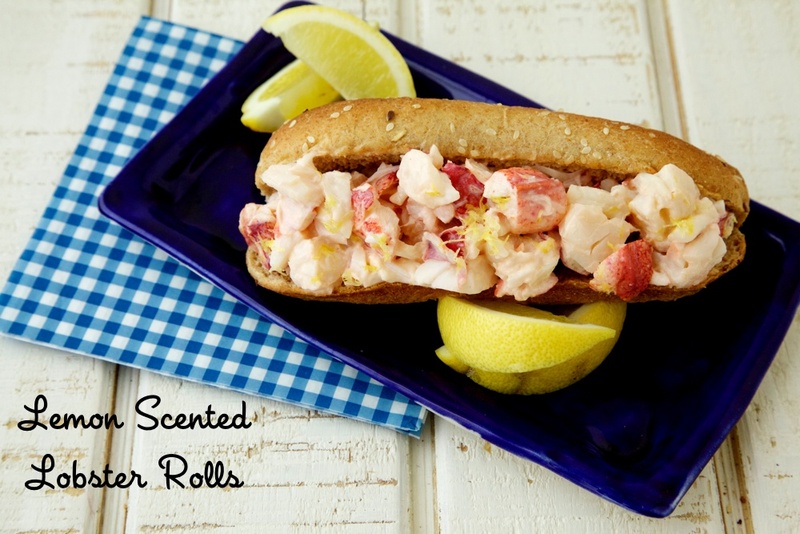 I returned home from our trip to find the gorgeous new Recipe Girl Cookbook waiting for me and one of the first things I came across was Lori's recipe for Lemon Lobster Rolls! If Matt Armendariz's luscious image didn't captivate me enough, Lori's unique lemon twist sealed the deal. When I've offered the kids lobster in the past they usually hesitate, saying it smells too fishy, but the lemon totally changed their minds. They loved it. Feeling nostalgic for Boston, we all piled the plump pieces of fresh lobster into grainy rolls and dug in for the perfect lunch. Thank you to Recipe Girl Lori Lange for reinventing this delectable classic! 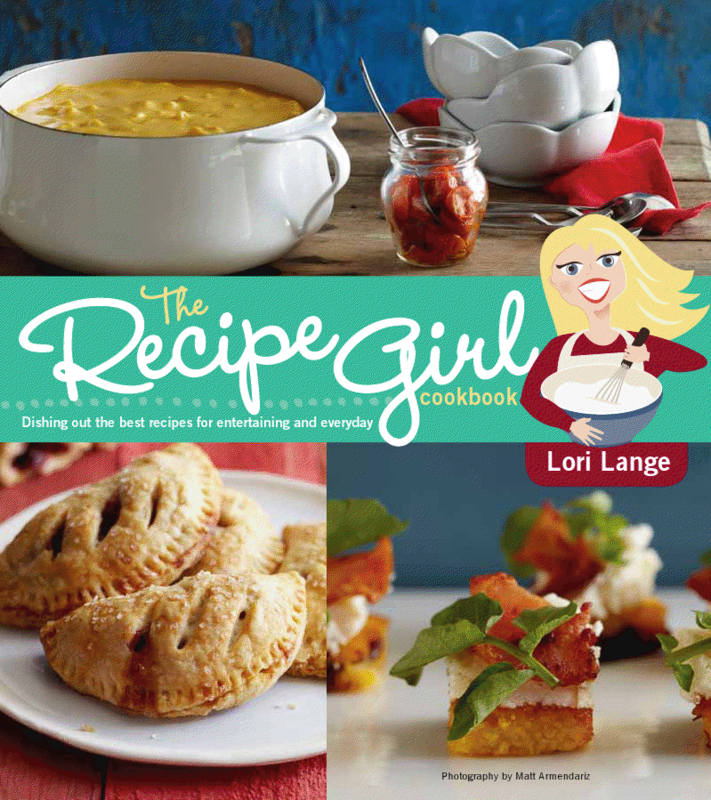 Win a KitchenAid Blender in your color choice and the new Recipe Girl cookbook! Prize: KitchenAid and Recipe Girl have generously donated one (1) KitchenAid Blender and one (1) copy of the new Recipe Girl Cookbook to one (1) lucky Weelicious reader. I have not been compensated in any way. All views and opinions expressed are my own. Duration: This giveaway will be open until Tuesday, April 30th at 11_59pm. Who Can Enter: Open only to residents in the USA. How to Enter: Leave a comment below — one entry per email address only please. For more chances to win, share this giveaway on Pinterest, Twitter and Facebook with the hashtag #WeeliciousGiveaways, and leave a separate comment letting me know you've done so. How Winner Will Be Chosen: The winner will be chosen at random and will be notified via email. The winner will have 48 hours to respond or a new winner will be chosen. 2. divide the lobster mixture between the two hot dog buns and serve immediately.